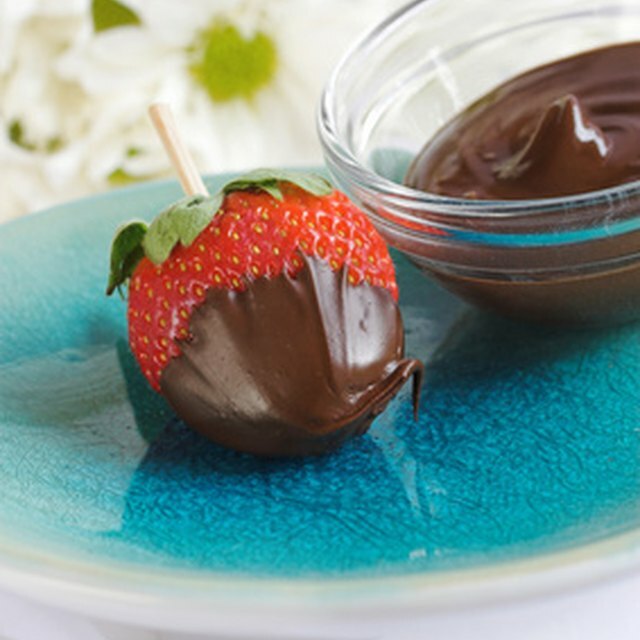 Melt chocolate in a clean pot or bowl to avoid introducing any impurities. Chocolate is a temperamental ingredient, and working with it can be a challenge. In a perfect kitchen, all souffles would rise like hot air balloons and every pie crust would be delicious and flaky, but even top chefs encounter cooking mishaps. When melting chocolate, the lovely liquid mass can go from smooth and fluid to clumpy and hard to manage in just a few seconds. Though there is no way to make the chocolate return to its original state, there are tricks that will help salvage the confection. Chocolate seizing is usually caused by water getting into the melted concoction. Even a tiny drop of water can cause melting chocolate to seize, and this can happen as the boiling water from a double boiler turns into steam or water vapor. From there, it's easy for small drops of water to land in the chocolate. Other impurities or liquids getting into your chocolate can also cause it to seize. Chocolate can also seize when it is scorched by too much direct heat. Starting your melting process with clean, dry equipment can help prevent melting chocolate from seizing into a lumpy paste. If you decide to use a double boiler to melt your chocolate, look for one with a flared lip that will help keep water vapor out of the pot as much as possible. Using the microwave or the oven set on very low are other ways to avoid getting water into the melted chocolate. If your recipe calls for liquid to be added to melted chocolate, be sure that the liquid is warm, because anything cold that comes into contact with the warm chocolate could cause it to harden too quickly and become lumpy. Unless the chocolate is scorched, you can salvage it, but there's not much you can do if the chocolate has burned and clumped. It's best to throw it out and start fresh. If you are faced with seized chocolate, you can soften it by stirring in a small quantity of warm cream, milk, butter, oil or hot water. Add a tablespoon of liquid at a time, stirring continuously. Sometimes just one tablespoon will do the trick. Keep stirring until the chocolate is smooth again. Once you have salvaged the chocolate, you can use it in baked goods, fillings, pudding or frosting. Because there is extra liquid added, the chocolate can no longer be used for tempering or couverture. The added liquid prevents the chocolate from hardening enough to form a shell. 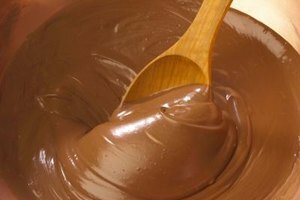 If you add cream or milk, you can form a ganache to be used in candy and truffle making. If you add enough liquid, you can also make a chocolate sauce to be served over ice cream or other desserts.